Looking good! Used to visit Bremen on business when I lived in Dusseldorf... years ago. Looking forward to rekindle the memories. What are you looking for? Quality or quantity? @Jetman: Those pix suggest my PC will struggle for sure. Never seen that accurate details ever. Good luck for this ambitious project furtheron! Did I say release it? I asked if there is news. That´s a very simple question. But it seems like some people can´t see any difference. 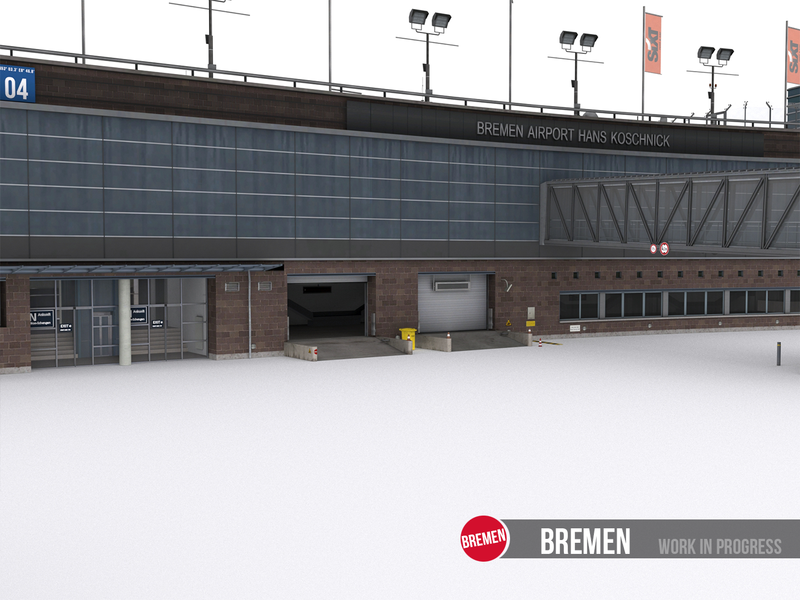 I know it was a bit quite but I was still working hard on Bremen in the meantime. Please note that all airside details will also follow later on. Most of the airport specific vehicles are already done but not yet placed. Those shots were worth waiting for!!!! Will all PCs less than 6.0 GHz be able to perform motion? Wow. Which software you used to make textures? Textures are made in Photoshop. Each texture is "hand-drawn"/ composed by different textures samples. Quite a lot of work but it pays of in the end -I think. Hi, amazing job!!! Btw, which software you using for modelling? Can't wait to get it!!! Thanks a lot for your feedback! Work is progressing well at the moment. More and more buildings come to live and finally the groundpoly is also "in progress". For modelling I use 3ds Max 2016, for texturing Photoshop CC2018. But could be something like Kos aswell. 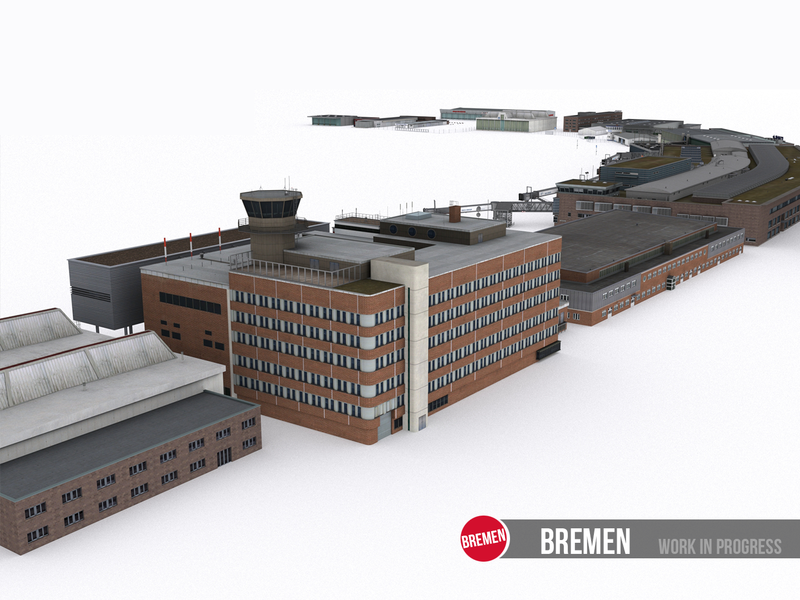 All buildings of the airport itself are modeled an almost fully textured (~95%). 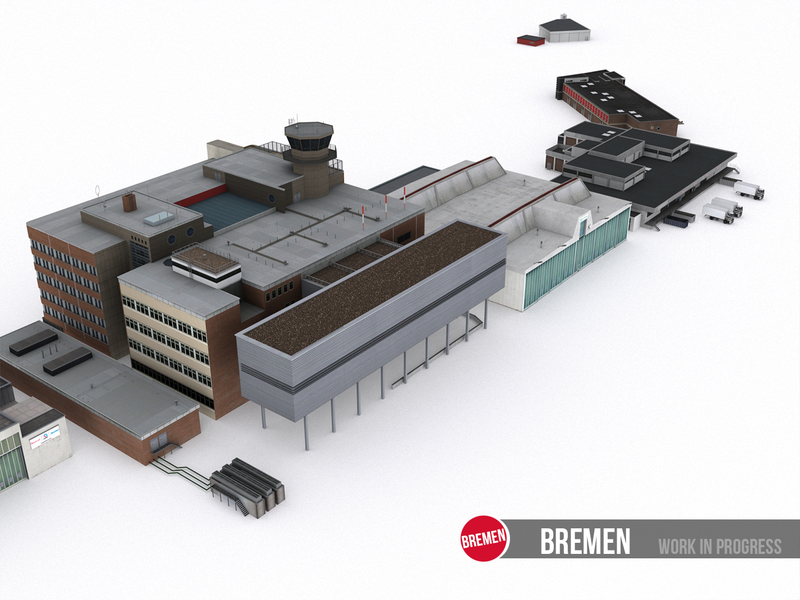 All buildings of the surrounding "Airport City" are modelled as well as most of the Bremen specific vehicles. You can expect new (this time also in game) images within the next weeks. As usual: if you have any good imagery of AYT airport please contact me! More progress shots will follow soon! Best regards and thanks for any feedback! Those models are AMAZING! That is the coolest Fire truck I have ever seen modelled. Really looking forward to this super high quality airport. Finally here is the BK-117 of "DRF Luftrettung" aka "Christoph Weser"